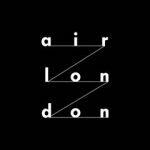 air london was formed in London in 2007 by David Oyston. There was originally no plan to do anything but help connect some of his DJ friends with gigs around the capital. A promoter himself and familiar with the usual – and sometimes unfair – criticisms levelled at talent agents, his ethos of honest, timely and respectful dialogue with promoters were fundamentals which have always, and will always, remain. Our artists can expect the highest levels of endeavour on their behalf and the best possible presentation of themselves and their work. Success arrived from the earliest days, as the fledging agency started to book shows domestically and, then, increasingly on an international basis. Today, air london is one of the most exciting new independent agencies in the world of electronic music, with offices in London and Los Angeles, and artists touring and performing in every worldwide territory. The launch of our sister company The Bassic Agency is already proving to be an exciting new outlet in the world of drum n’ bass and is the next logical step in exploring the world outside of house and techno. This will help open up opportunities for all our artists as the lines of musical boundaries continue to blur and merge. We represent artists and labels which are responsible for shaping the scene as we know it, with a focus on building partnerships and success for the long term. Many of our artists have only been represented by air london since their careers began, which we see as the ultimate accolade. We have been fortunate enough to welcome some outstanding talent as the company has grown, and have a particular interest, and proven success, in finding and developing interesting young acts. Our sensible artist:agent ratio and quality-first approach will ensure that our service levels will always remain at the highest standard.